Plan, design, build, and launch. From concept through to launch and beyond, TWG has the skills to deliver - either standalone or in conjunction with your teams. Primary generative and evaluative research. Dedicated first-person research, all with your product in mind. Bringing your product or company story to life on the web with a focus on the actions that will grow audience and adoption. We design and develop highly scalable ecommerce experiences that delight customers and increase transactions & user adoption. Strategize, design, build: We're here to partner on your next project. Whether building your digital products from the ground up, or helping set your business up on the world's best platforms, we're here to help you make the decisions that will move your business forward. Define the problem space, identify customer demand, and explore product directions that respond directly to your users and business goals. Create functioning prototypes with code to gain key insights, test with users, and reduce risk before full-on delivery. 15 years of technical expertise means we understand the changing landscape of software. Whether replatforming your established software, building your new app ground-up, or instilling technical expertise on leading edge tech, TWG adapts to your unique needs. True success is not just achieved through shipping software. You need to understand the key metrics driving your business, track them over time, and craft intentional responses to build your path to growth. 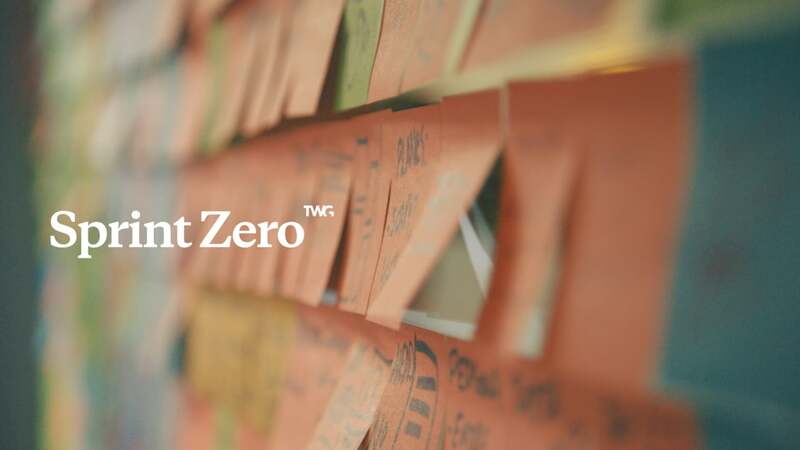 We start our projects with Sprint Zero, an in-depth design and strategy sprint that helps us kick-off faster and make projects more cost effective.